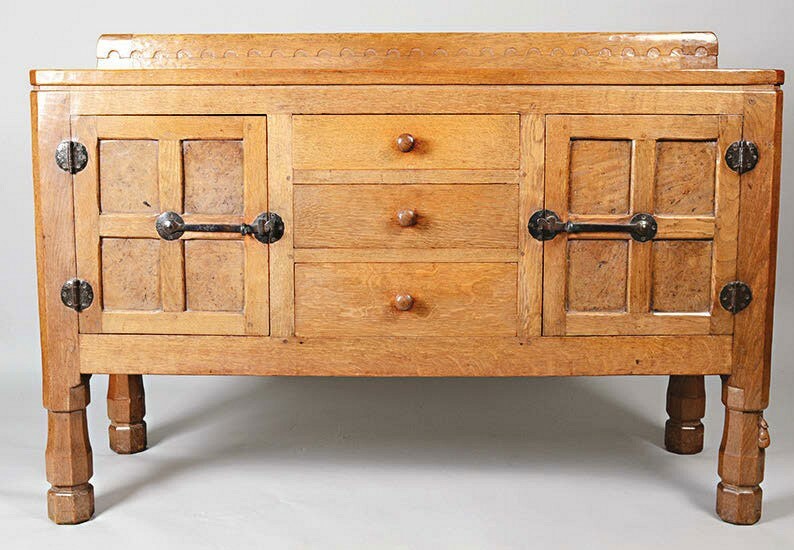 ‘Mouseman’ sideboard – £14,000 at David Lay. Although selling to a different market than Eames and Aalto and the like, it is included in 20th century sales where it is welcomed by devoted fans across the UK. One of the best prices recently was taken at the David Lay (18% buyer’s premium) March 21 sale in Penzance, far from the Yorkshire workshop in Kilburn. The 4ft 6in (1.37m) wide sideboard with burrwood panels to the doors and ends had a few spotted stains and a ringmark but was in good condition considering it was from the early years. Estimated at £2500-3500, it went back north, selling to a specialist dealer at £14,000.